Please welcome Bao, of Triple Scoop Desserts, a photographer, blogger, and self proclaimed lover of all things ice cream. Triple Scoop Desserts is all about ice cream and has some amazing recipes so please check it out. We’re lucky to have Bao make and share one of his favorite childhood treats that wasn’t ice cream, che dau trang! 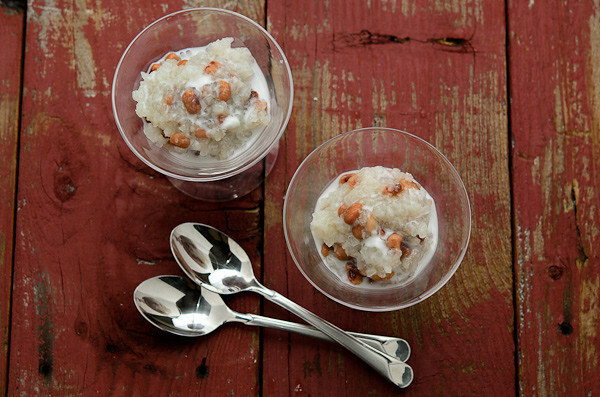 Legumes are a big part of Vietnamese desserts so this will be just one of many to come! It is great to be able to fill in here and give Hong and Kim time to get ready for their special wedding day. I know their wedding is going be full of love and magic and everything will go according to plan. Today I have the pleasure of showing you how to make one of my childhood desserts. This is my mom’s favorite and she used to make it for my family often. Che Dau Trang is a typical Vietnamese dessert — it is simple, sweet and has a touch of creamy coconut milk. The dessert can be eaten warm; but, during the summer months I like to eat this dessert chilled straight from the refrigerator. The sweet rice with the soft beans and creamy coconut sauce combine together for a velvety feel with just a bit of texture from the beans. It been a pleasure to contribute to The Ravenous Couple blog. 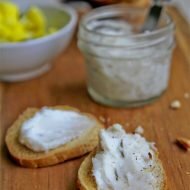 It is one of my favorite blogs to read, not only for the recipes and creative photos but for stories that make it unique. Here is to wishing you a happy life together full of great experiences and fantastic eats. In an 8-cup sauce pan add the sweet rice with the 4 cups of water. Cover and cook over medium heat. The rice will be cooked in 20-30 minutes. I suggest you stir the rice in the final 5-10 minutes of cooking, because sweet rice tends to stick to the bottom of the pan rather easily. You want the finished rice to be a little runny but not thick as mashed potatoes. You can always add a few teaspoons of water to loosen the rice if it is too thick. Once the rice has finished cooking, turn off the stove. 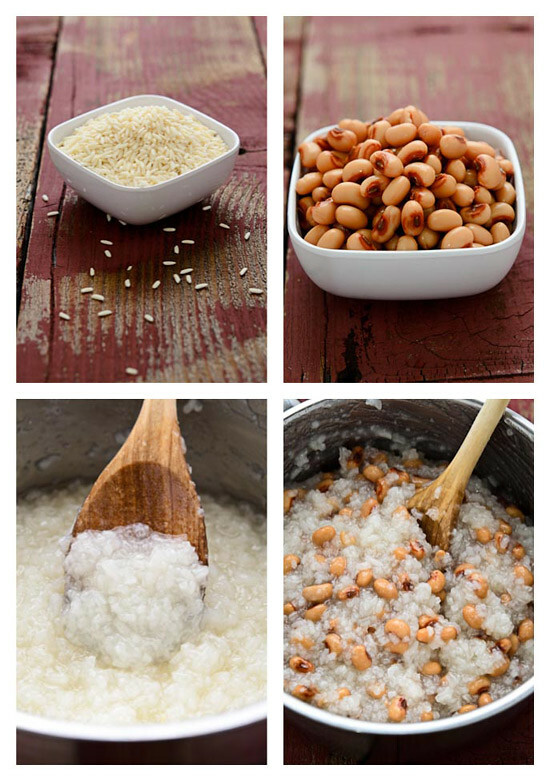 Drain and rinse a can of black eyed peas and then add it to the sweet sticky rice. Add 1/2 cup of sugar and fold everything together. Transfer the che into a heat proof bowl and let it cool before placing it into the refrigerator. To make the coconut sauce, pour a can of coconut milk into a small sauce pan and bring to a simmer. In a small bowl, combine the cornstarch with the half and half to make a slurry and then slowly stir it into the simmering coconut milk. Mix in the sugar and then turn off the heat. 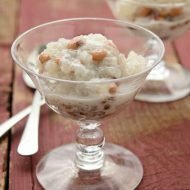 To serve, scoop a few spoonfuls of the che into a bowl and then drizzle with a few spoons of the coconut sauce and enjoy. I've also seen this che topped off with crushed peanuts and roasted sesame seeds, so if you have those ingredients around give it a try. Wow black eyed peas in a dessert is totally new to me but I enjoy lots of Asian legumes in desserts so why not! Great guest post with lovely photos! I adore beans in my desserts. Black eyed peas is one of my favourites. 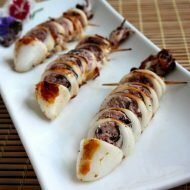 Saved this recipe for a rainy day Thank you! Beautiful! I love all kinds of bean desserts! 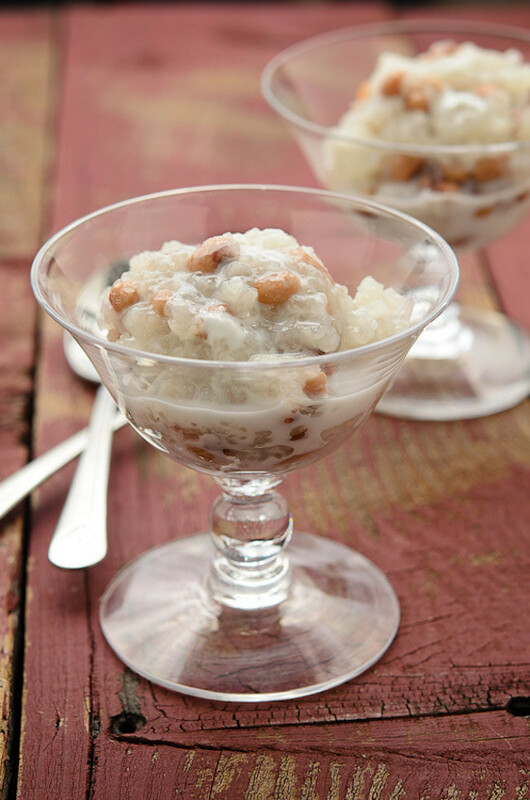 My mom has always made these desserts but I have never attempted them… what are glutinous rice? Can these be found in megamarts or only in Asian markets? it’s a sticky type of rice and found mainly in asian markets. My mom loves this!! Thanks for posting this and I hope to try this out myself to give to my mother! Is the glutinous rice the same type of rice used to make Com Soi(spelling is off but I mean the colored rice used for Chinese New Year’s)? Yum! I love che dau trang. I will definitely make some as soon as the weather cools down. Thanks for sharing the recipe, Bao! I just found your site and am loving it! 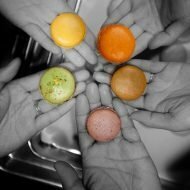 Brilliant photography and beautiful food! Also loving the layout. Could you share how you got the thumbnails in the recent posts section to go so large? Thanks so much! Cna’t wait to explore more. Can milk be substituted for half and half? yes, or can even be left out. I love this dessert, reminds me of my childhood also. I love the one with the green beans, and coconut milk. Sorry I lack the spelling of Vietnamese spelling. – I love this dessert, one additional ingredient that I like to add to my coconut sauce is a few pandan leaves (lá dứa) to enhance the flavor. Great pictures! I love this che dau trang and Bao’s photos are beautiful as always! Going to visit this blog. i love che dau trang it so good. tried the recipe but my sauce was a little disappointing since I can’t taste the coconut and its not thick as at the store. Can you tell me which brand of coconut milk did you use and how to make it thick like the store? Wow…been so long since I have had this dessert. Loved it as a kid. I never made this myself but I did watch my mom make a lot of these types of “soupy” sweet desserts. I recall my mom making this and then pouring coconut cream on top right before we eat it – no coconut milk, and definitely no half-and-half, much less cornstarch. I wonder if a lot of Vietnamese desserts were adulterated over in the U.S. with the easier access to half-and-half (easier begotten at the average grocer as opposed to coconut cream). Half-and-half or dairy isn’t an ingredient a traditional native Vietnamese would use, right? I like to add that I enjoyed this dessert because its homemade and I can put less sugar if I want. Yummy!! definately going to try and make this. Oh…lol thanks! I didn’t know xD perhaps because I don’t drink coffee? Just wanted to say that half-and-half is actually half milk and half cream (some call it table cream, I believe). Coffee creamer can be interpreted as that commercial powdered or liquid stuff that is typically not a real milk product, whereas half-and-half contains real milk and real cream. Thank you so much for this recipe. This is my favorite che, and I have always wanted to make it. It’s past 8p.m. now but I want to run to the local grocery store to pick up some black eyed peas to make it now!! I will try adding the half and half to the coconut milk; maybe that will make my coconut milk taste better, as I am never able to make my coconut milk taste like the kinds I buy at a specialty Vietnamese dessert place. Thanks again for the recipe. don’t forget to add a pinch of salt to the coconut sauce! let us know how it goes! I think you have just showed me the “perfect” New Years Day dessert, being that tradition has it that one must have black-eyed peas on New Years for good luck. Thank you for this great rice pudding reciepe! I saw this and I had HAD to go pick some up from the local vietnamese store that makes it fresh every weekend. Such a comfort for me. Thanks so much for posting this. My mom always made a lot of che but I moved away recently and have had to buy it from the store. I’ve been too intimidated to try for some reason and this recipe makes it seem easy enough! Hi, I was wondering if I could substitute red/purple rice in this recipe…? Thanks!